NATCHITOCHES – The Queen of Creole Cuisine is coming to Natchitoches. 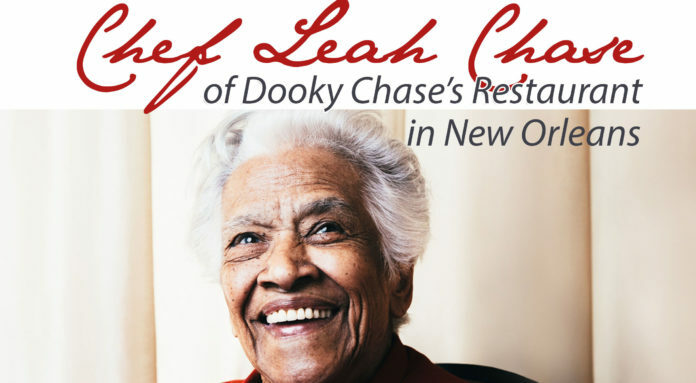 Leah Chase, New Orleans chef, author and television personality, will be a guest lecturer at Northwestern State University on Tuesday, Sept. 19. She will speak and present a cooking demonstration at 11 a.m. in the Ora G. Williams Digital Media Center, Room 142 Kyser Hall. Tickets are $10 for the public and $5 for NSU students, faculty and staff. Tickets must be purchased in advance by Sept. 15 and are limited due to seating capacity. Proceeds will benefit the Chef Leah Chase Endowed Scholarship. The event is being sponsored by NSU’s School of Business/Hospitality Management and Tourism, the Creole Heritage Center and the NSU Foundation. Prior to her lecture, Chase will meet and greet with attendees at 10 a.m. During her demonstration, she will prepare Chicken Clemenceau and peach cobbler. She will also bring cookbooks for sale. “This is an exciting opportunity for hospitality management and culinary arts students,” said Dr. Margaret Kilcoyne, dean of the NSU’s College of Business and Technology, who is working with the NSU Foundation to develop the Leah Chase Scholarship for a student pursuing the culinary arts concentration in the HMT program. The scholarship will be awarded to a qualified student who excels in culinary arts studies after a minimum of nine credits of culinary content and one who displays leadership and teamwork in and out of the classroom. NSU currently has a Creole culture studies concentration under the general studies degree program and there is a possibility of building a Creole foodways/cooking class in the future, administrators said. Chase has long been recognized as an advocate for African-American art and Creole cooking. Her restaurant, Dooky Chase, was known as a gathering place during the 1960s among many who participated in the Civil Rights Movement and was known as a gallery due to its extensive African-American art collection. Chase has been the recipient of a multitude of awards and honors. Chase was inducted into the James Beard Foundation’s Who’s Who of Food & Beverage in America in 2010 and earned the James Beard Lifetime Achievement Award in 2016. She was honored with a lifetime achievement award from the Southern Foodways Alliance in 2000. Chase received honorary degrees from Tulane University, Dillard University, Our Lady of Holy Cross College, Madonna College, Loyola University New Orleans and Johnson & Wales University. She was awarded Times-Picayune Loving Cup Award in 1997. The Southern Food and Beverage Museum in New Orleans, Louisiana named a permanent gallery in Chase’s honor in 2009. Tickets for the Sept. 19 lectures are available at nsulaleahchase.eventbrite.com. Parking for the event will be on the south side of Kyser Hall near the NSU Post Office and across the street from St. Denis Hall. HMT volunteers will be at campus entrances to direct the public to the reserved parking lot. For more information on Chase’s demonstration, contact Dr. Carmella Parker at parkerc@nsula.edu. To contribute to the Scholarship, contact Gallow at (318) 357-4435 or gallowk@nsula.edu. Information on NSU’s HMT program is available at hmt.nsula.edu.